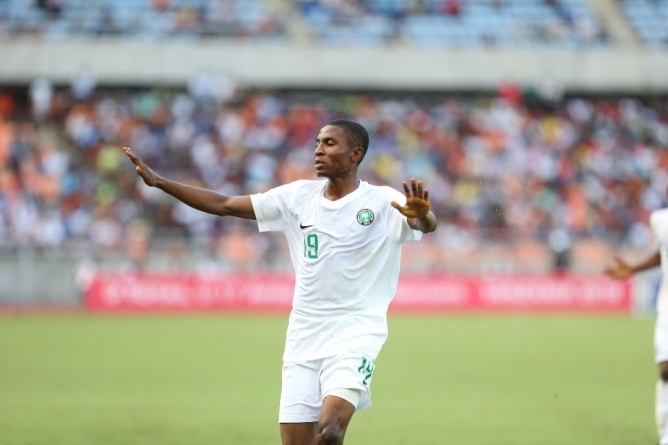 Nigeria’s Golden Eaglets could be the first African qualifiers for the Brazil 2019 FIFA U-17 World Cup if they beat Angola in a Group A match of the CAF U-17 finals on Wednesday. Sports Village Square reports that the Nigeria-Angola match comes before that of Uganda-Tanzania in the double header at the National Stadium, Dar es Salaam. Both Nigeria and Angola are tied at three-point apiece, but the Nigerian side has the edge on account of scoring more goals. Nigeria beat Tanzania 5-4 in a goal-laden encounter on Sunday while Angola beat Uganda 1-0. A win by Nigeria qualifies the team for the semi-finals of the African tournament and an automatic ticket for the World Cup. All the four teams in the semi-finals will go through to the World Cup. That way, Manu Garba team’s first objective is fulfilled. The team will then hope to go for its third African title. The Golden Eaglets are record five-time winners of the U-17 World Cup, but they missed out in the 2017 edition after failure to make it to the continental tournament.